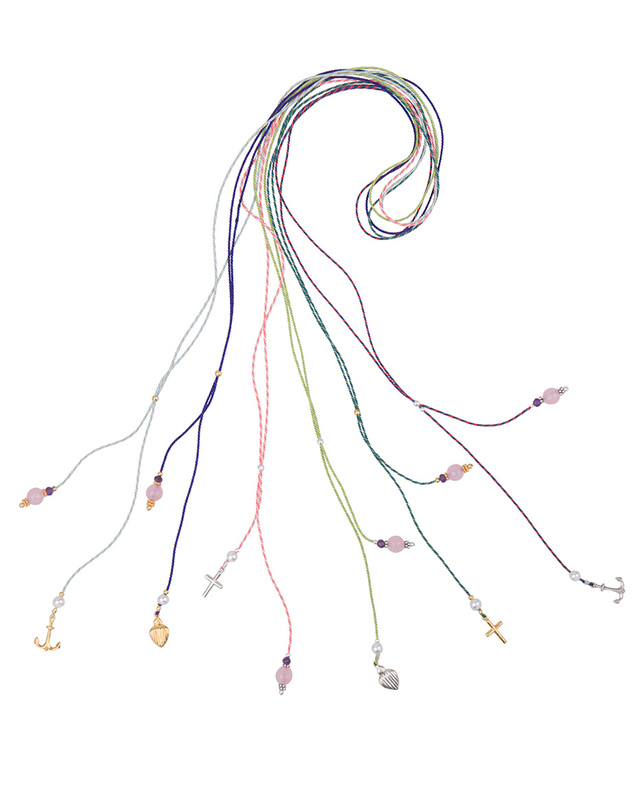 This colorful necklace goes with the Anchor symbol, which gives hope, firmness, determination and faith. It’s made of 14 krt Goldplated on first grade Sterling Silver. 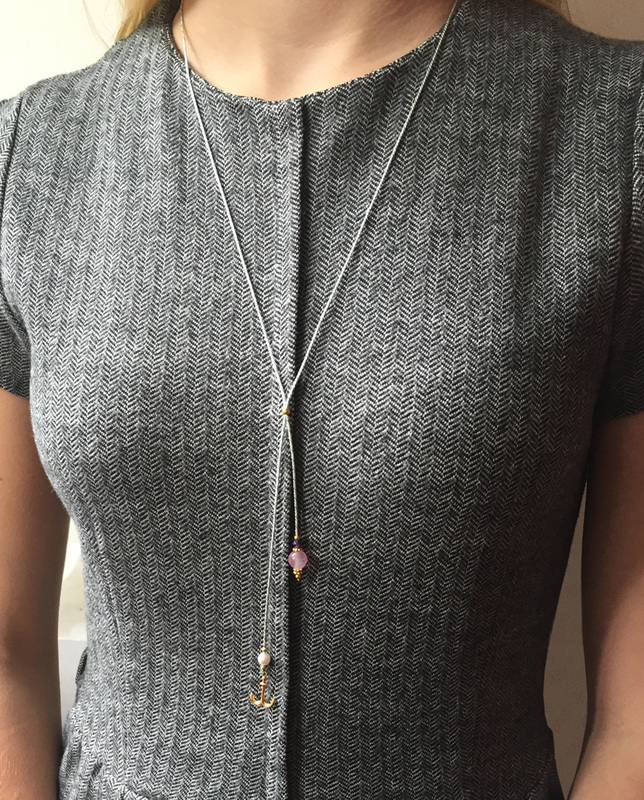 The Amethyst stone is a calming stone. Rose quartz is known as the universal love stone,purifies and opens the heart at all levels to promote love.